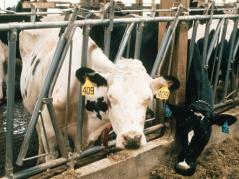 URBANA, Ill. – University of Illinois Extension has scheduled workshops to provide Illinois livestock producers the manure management training they need to meet the requirements of the state's Livestock Management Facilities Act. The 2018 Certified Livestock Manager Training workshops, held in 12 locations throughout the state, will begin Feb. 7, 2018, in Springfield and end March 14, 2018, back in Springfield. Please note that all workshops are concentrated in February, with only two workshops in March. Workshops begin at 8:30 a.m. and will take 3 1/2 hours with the IDOA exam administered afterward. The Livestock Management Facilities Act requires facilities with 300 or more animal units to have at least one employee certified in proper manure handling procedures. For facilities with 300 to 999 animal units, the employee must attend a workshop or pass the Illinois Department of Agriculture's Certified Livestock Manager exam. Employees of facilities with 1,000 or more animal units must do both to achieve certification. Registration is now open. Call the University of Illinois at 217-244-9687 or register online. The cost is $35. If more than one employee from the same farm signs up, each additional registration will cost $25. Lunch will not be offered, but coffee and donuts will be provided. For additional questions about registration, contact Nancy Simpson at nsimp1@illinois.edu. Employees also have the option of taking five online quizzes. Passing them is the equivalent of having attended a workshop, but does not substitute for passing the state administered Certified Livestock Manager exam. Registration is also open for the CLM Online Training Program. There is no charge to take the online quizzes other than the cost of a manual. The workshops will use the instructional manual for the National Livestock and Poultry Environmental Stewardship curriculum, which can be purchased for $67.50. Participants do not need a new manual if they have a 2003 or newer version. The manual is also available on a CD for $32.50. To purchase a manual, call 1-800-345-6087. The manual materials can also be accessed online. Producers are encouraged to preregister at least two weeks prior to ensure a seat for the session that fits their schedule. Advance registration also allows participants to receive a manual beforehand, which is important for those planning to take the written Illinois Department of Agriculture test to obtain their certification. For more information, please visit the Certified Livestock Managers Training webpage.